Figuring out the best time to buy an airline ticket is often one of the most vexing parts of planning a trip. Wait until the last minute and the airfare skyrockets. Book too early and you may spend more than you should as well. So what’s the best approach? As it turns out, it’s somewhere in between those two extremes. 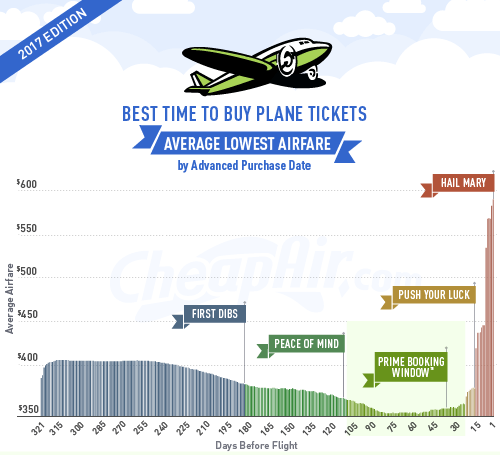 CheapAir reviewed millions of individual trips and all the possible airfares for those trips in order to identify the best time to book. What the site’s 2017 Annual Airfare Study revealed is that the lowest fare for a given trip changes an average of 71 times or about every four and a half days. What’s more, with each change, the lowest price went up or down by an average of $33. The takeaway – it actually does matter when you choose to book a ticket. As the naming implies – the Prime Booking Window is the sweet spot, or the timeframe that the study suggests is ideal to purchase a ticket. This window occurs specifically between three weeks to three and a half months in advance of your planned trip. The best fares tend to be available during this span of time, with ticket prices hovering within about 5% of their likely lowest price. The Peace of Mind booking zone is another period of time that travelers should seriously consider, said Samson. Occurring between three and a half to six months before your planned trip, the Peace of Mind zone is ideal for travelers who are willing to shell out a bit more cash (about $20 on average) for well…peace of mind, which in this case comes in the form of snagging a good fare for your travel dates. At three and half to six months before a trip, you will also still have a variety of routes and other choices available, that will decrease as your departure dates get closer. Some of the other booking zones identified by the study that are worth discussing include the First Dibs zone and the Hail Mary zone. The First Dibs zone for ticket purchases is six to 11 months from your departure date. Buy tickets this early and you will pay an average of $50 more. The price is almost guaranteed to drop further between this time frame and the approach of your trip, says the study. The reason for that is airlines set their published fares nearly a year in advance of travel dates and build in the flexibility to drop the rates as they get a better sense of demand. Sure, book this early and there’s a plethora of flight options. But you’ll pay more for those options. As for the Hail Mary zone, well anyone who travels regularly should know that booking a ticket at the last minute is rarely bargain shopping time. In fact you’re often lucky to get a ticket at all. And that’s what the Hail Mary zone is all about. This booking zone is defined by the report as less than two weeks in advance of your travel. It is dominated by last-minute fares, the majority of which will involve serious sums of money (an average of $150 more than buying during the Prime Booking Window.) What’s more, waiting until this close to your travel dates, and the seats and routes will be limited. One last word of advice from the report – if you can, avoid at all costs buying a ticket the day before you travel. Those who wait until this late in the game pay about $249 more for a ticket. In other words, the Prime Booking Window may be a sweet spot for cash purchases, but it could very well be too late for rewards reservations. One last bit of helpful information. 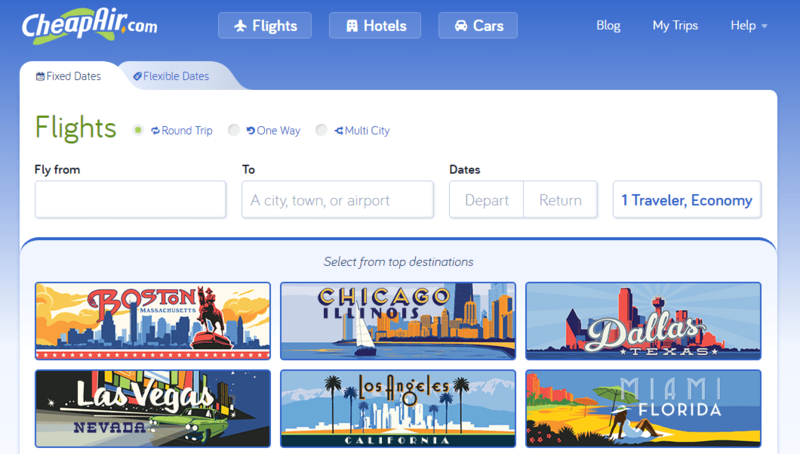 CheapAir has just developed a widget that allows users to input where they’re traveling to and from, and find out what the Prime Booking Window is for that trip, as well as the projected airfare highs and lows.